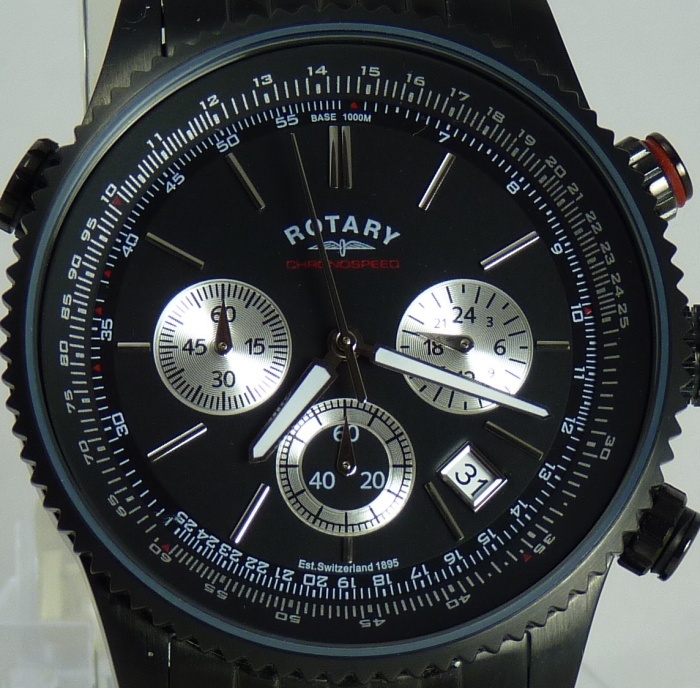 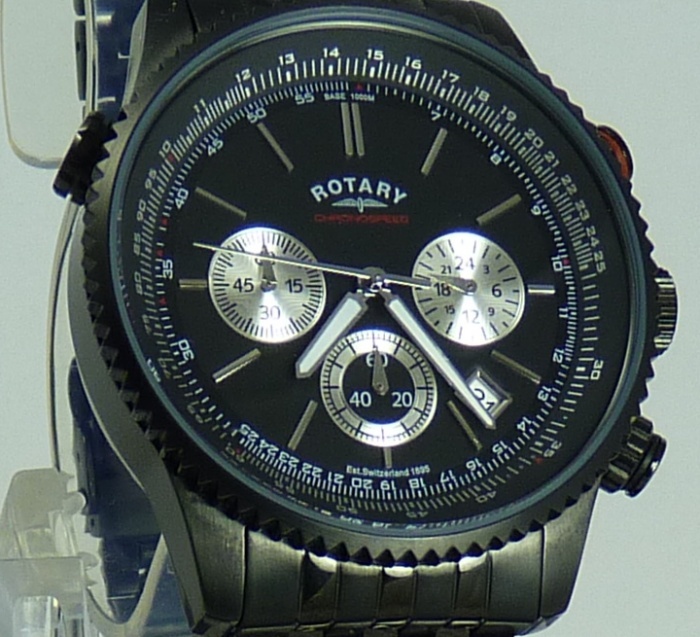 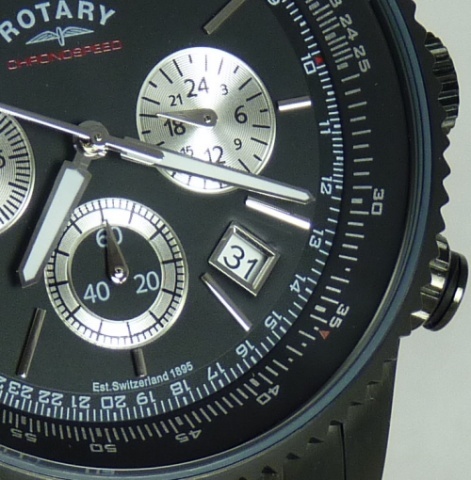 This stunningly Designed modern Gents Rotary Chronograph, Sports, Waterproof watch. 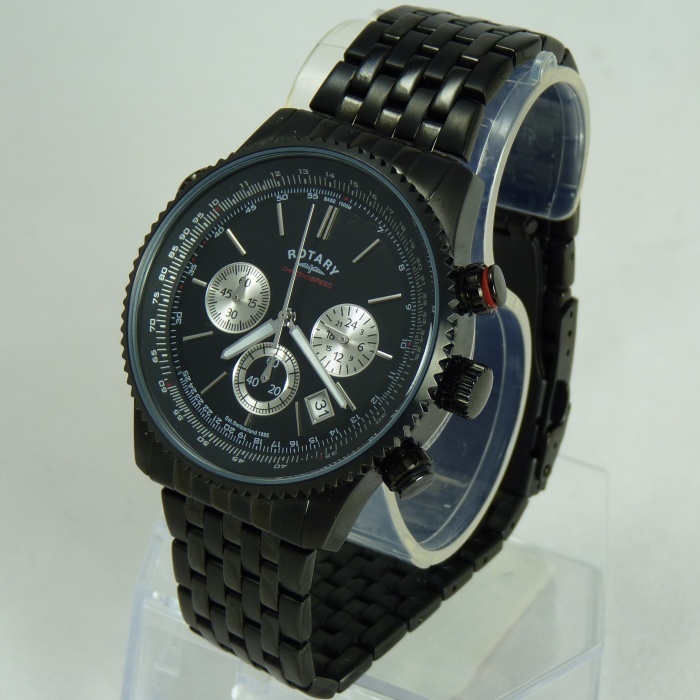 Fitted beautiful high Quality 100% Genuine Black Plated Strap and stunning Round Case. 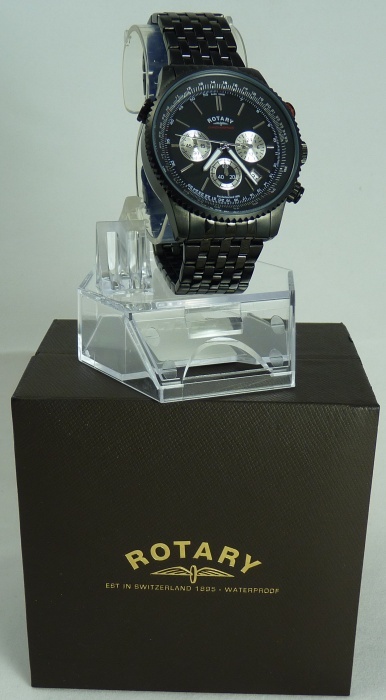 Please note: All my items are either ex-display or customer returns direct from major UK retailers and as such will have been opened to check all items are correct and working, there may be some minor damage to the boxes or packaging. 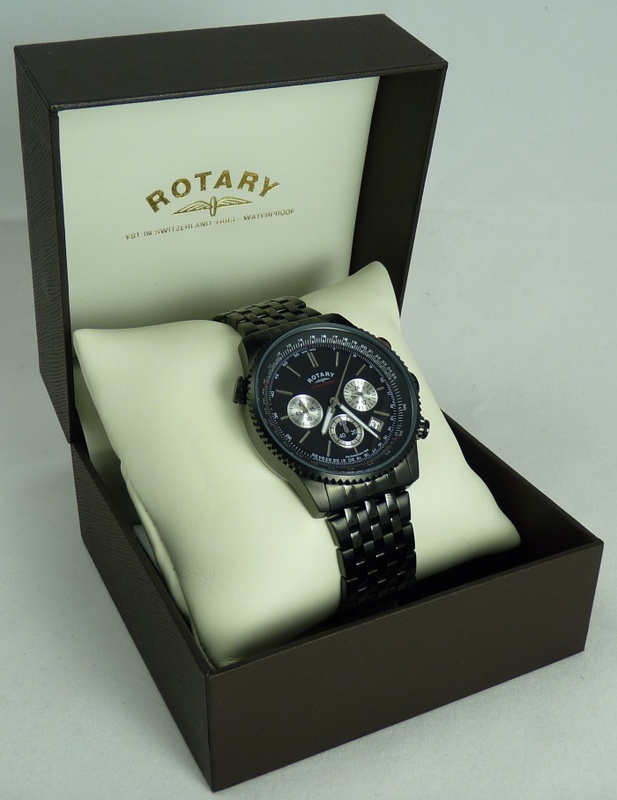 I try to describe the items as best as possible, if you have any questions about any specific item please e-mail before bidding and I will be happy to provide any additional information I can.